Wide open spaced. Terrain that expands as far as the eyes can see. Endless possibilities. The capacity to be yourself, anywhere. Literally and figuratively, those are the best parts about being a Kansan. They’re also the ethos for what it means to be “homo on the range.” I started writing this column nearly five years ago because I wanted to start a dialogue about LGBT issues in the Midwest while establishing an identity for what it means to be queer in a red state like Kansas. It’s been an awesome experience to share my life and perspective with you. Half a decade later, I still firmly believe that you can be yourself and be successful anywhere. That doesn’t mean you should stay in the same place indefinitely, though. You should fall in love with your life a little bit each day. If you don’t, you owe it to yourself to make some changes. For me, I decided over a year ago that I needed to manifest some pretty epic alterations, and I made a plan to move. By the time you read this column, I will be “off the range”, living a new life in Los Angeles, California. I leave Kansas knowing that I am fortunate to have lived here. I came of age in Wichita at a time when LGBT rights and gay identities were in a state of massive flux. When I moved to Kansas in 1999, the gay rights movement here was still emerging. I decided early on to always be honest about who I am. I was rewarded for that. Eager to create change, I have been continually empowered by the people here to do good work. 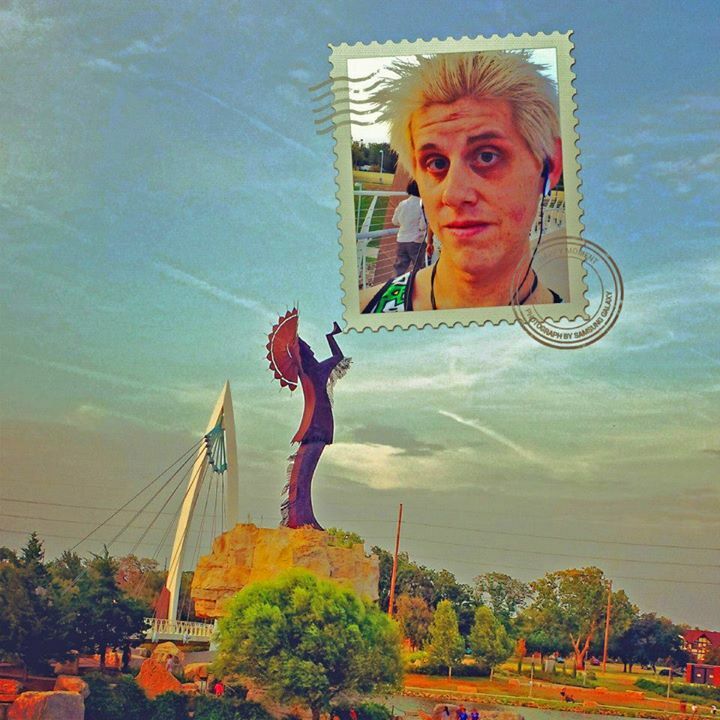 Whether it was running the Sedgwick County Democratic Party, writing about art for The Wichita Eagle, promoting bands with ROK ICT, or organizing events at the National MS Society, my sexual orientation has always been viewed as being secondary to my sincere drive to make Wichita a better city. I’ve always felt accepted by most people here. I have even forged friendships and earned the respect of many who were not originally allies of our community. I am nobody special; it’s the collective spirit of the people of Kansas who embody something truly extraordinary. The locale that launches us defines significant facets of who we are. Though I now call Los Angeles my “home,” Kansas is the place I will always be “from”. Being “from Kansas” means you originate in a place where honesty, hard work, and integrity are central values. It means you incubate somewhere that rewards drive and ambition with encouragement and opportunity. And it means you traverse on soil that you can fertilize with your unique sparkle. In Kansas, you can manipulate the wind as it blows. Those of you who remain should utilize that exceptional malleability to color a more vibrant culture and grow broader acceptance for our LGBT community. The new life I’ve secured on the west coast was paved by Kansas’ golden road of possibility. I’m excited to start a new position working as a fundraising events manager for a social justice oriented non-profit called Liberty Hill. Having the distinct privilege of moving to a city and immediately getting to work to make it a better community is an advent I am truly grateful to experience. I will never forget where I came from. Though it’s time for me to go “off the range”, I know that Kansas is a state of mind. In that state, we’re all at our best when we are 100% our unabashed selves. While this column signals a wrap for “Homo on the Range”, the epic adventure is just beginning! You can keep up with my California-sized exploits on my blog, www.homoontherange.com or by following me on Twitter.